The goal setting aspect of National Disability Insurance Scheme (NDIS) planning can be challenging for some NDIS participants. It’s a new year, so for some people, it’s a time for making new years’ resolutions – essentially setting their goals for the year ahead. People with disability who are about to enter the NDIS or get their next NDIS plan, may be focusing on a different type of goal setting – to work out what they want to achieve for their NDIS plan. 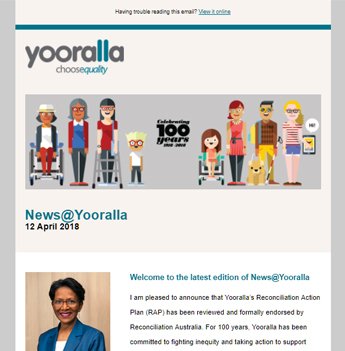 The goal setting aspect of National Disability Insurance Scheme (NDIS) planning can be challenging for some NDIS participants, so over the coming weeks, Yooralla will aim help you to understand more about goals in the NDIS. 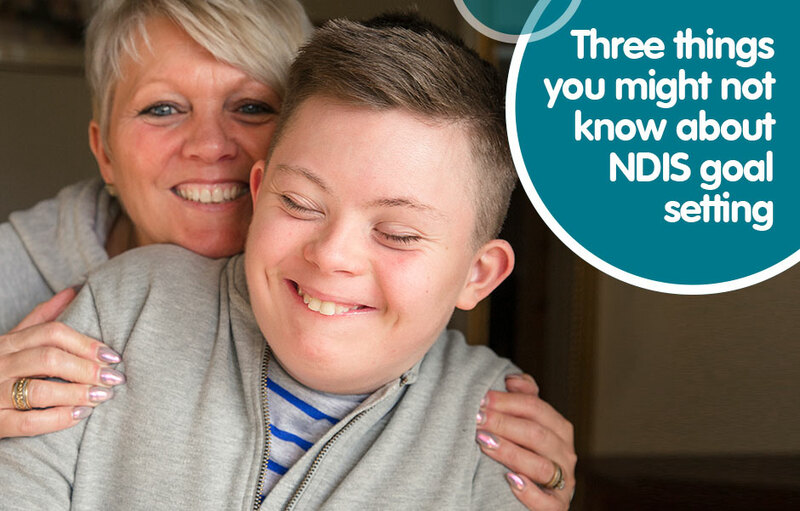 Today we’ll start with three things that might be useful for you, or a person you care for, to know when thinking about your NDIS goals. It’s important to remember that the NDIS will only fund supports that relate to your goals. For example, if visiting a disability peer support group every month is important to you, this can be related to a goal of “social and community engagement and inclusion”. If you decide you want support to get a job, but you don’t have any goals in your NDIS plan that could reasonably relate to the supports you would need to get a job, you would need to review your goals when you get your next NDIS plan, so you have a job related goal. Goal: To increase my ability to access the community for social activities. As you can see, even if you might think attending a social group each week is your goal, this would actually be a support you may need to achieve your goal (i.e. the outcome). Funded support needed: Attend a community-based social group each week. Before your NDIS planning meeting, taking time to think about what support you receive now (whether funded or unfunded) and what works for you, can help you to work out your NDIS goals – that is, what you want to achieve across different areas of your life. For more information about NDIS goal setting, visit the links below, or contact Yooralla’s Community Engagement team for a free discussion if you have any questions.